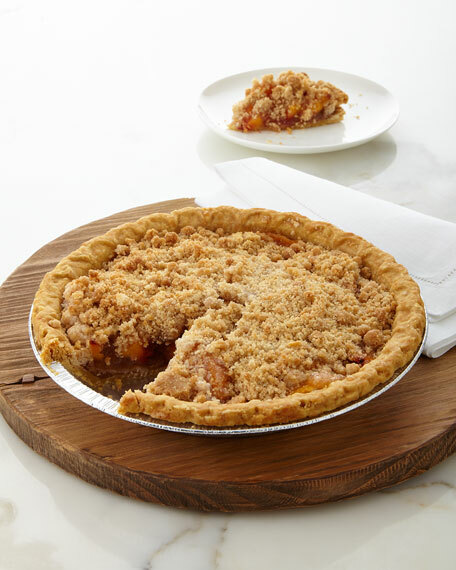 Peach pie made exclusively with Enchanted Rock Peach Vodka. Filled with juicy sweet peaches; wrapped in a golden crust. Ships frozen. Thaw for 30 minutes to an hour; bake in preheated 325-degree oven for 15-30 minutes.